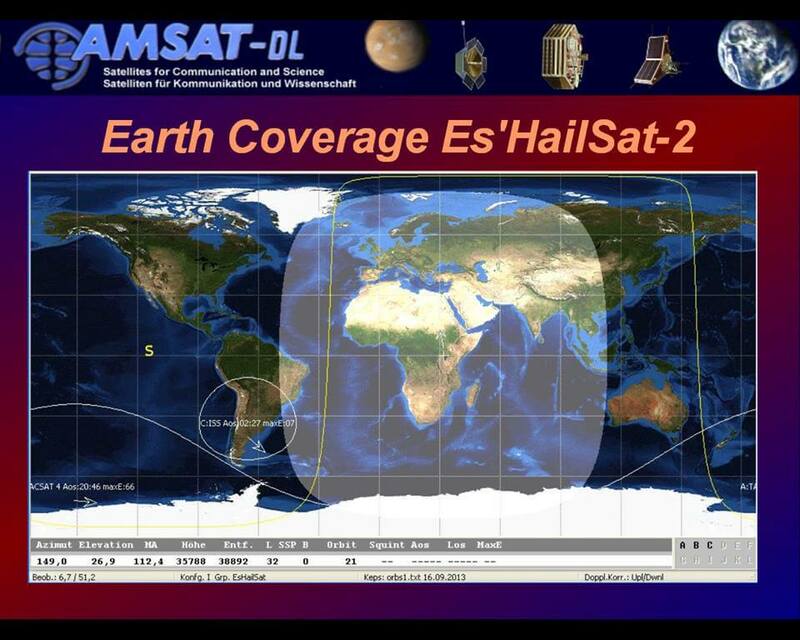 – Es’hail-2 will be positioned at 26 degrees East, not 25.5 degrees where Es’hail-1 is located. – The use of DVB-T in the wideband transponder is unlikely to be practical. The recommended modes are DVB-S2 and DVB-S, especially the amateur-developed Reduced-Bandwidth TV variants that can carry an HDTV picture in 500 KHz of bandwidth. Wishing Telesat in Canada would allow the same thing on there geostationary satellites 🛰 over North America. Amateur radio transponders similar to E-Hail . Built by amateur radio university students . So as to promote satellite technology. Congrats to the E-Hail team !. Sure miss AO-10 , AO-13 and AO-40 ! .